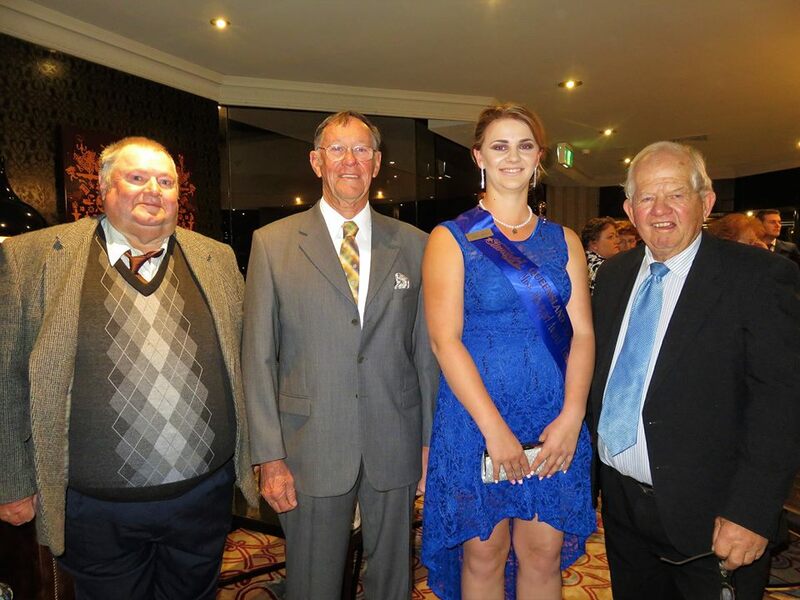 The 2019 Marburg Show Society Show Ball will be held on 13 April commencing at 7:30pm till midnight with judging to commence at 8:15pm. Show Ball entry $15.00 for Adults and $6.00 for High School Students. Winners of the different sections in the show ball, will be given a ticket to the show. ​Winners are invited to attend the Official Morning Tea and be present at the Opening of the Show and be part of the grand parade, by going around the ring in the small train. The Show Society would like you to come to the Treasurers Office on the day, so we can gives you times to assist at the pavilions, wearing your winning sashes. Show Girl Winner and Rural Ambassador Winner has the opportunity to represent Marburg Show Society at the Sub-Chamber Judging and then if they win this section they go to the Brisbane Exhibition like Marburg Show Girl Winner, Emma Milne did in 2017. Picture below.